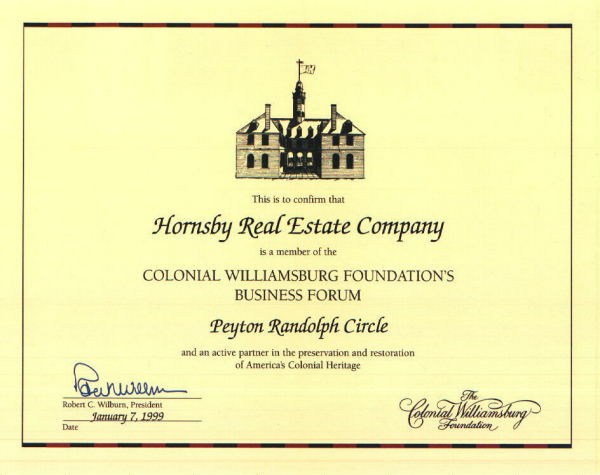 Support the Colonial Williamsburg Foundation! Call Hornsby Real Estate Co. First. It's the Smart Move.